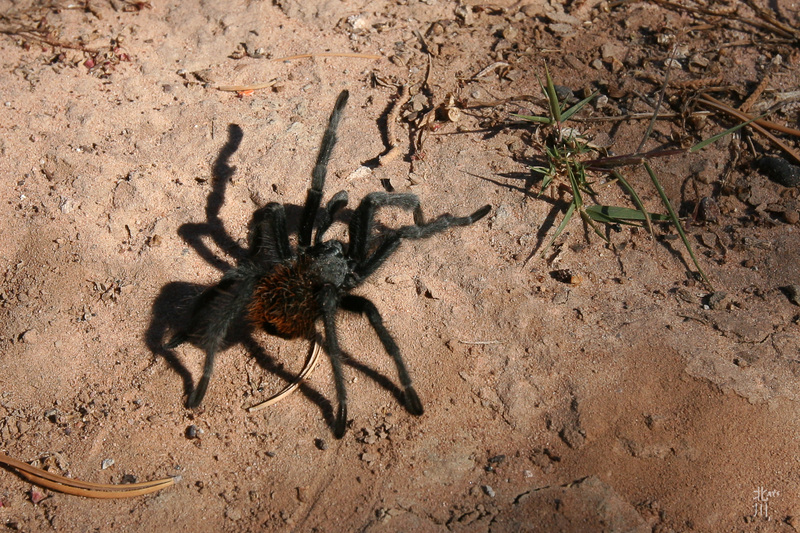 Thirty species are found in the Southwest, but the one most often seen is Aphonopelma chalcodes, commonly known as the desert tarantula. The tawny females have a leg span of about 5 inches. Males are slightly smaller, darker and more slender, and are often seen trudging determinedly across the desert on summer evenings. This entry was posted in Travels and tagged Arizona, Travels, Wildlife.